This is the companion website for Readings for Diversity and Social Justice, Fourth Edition. 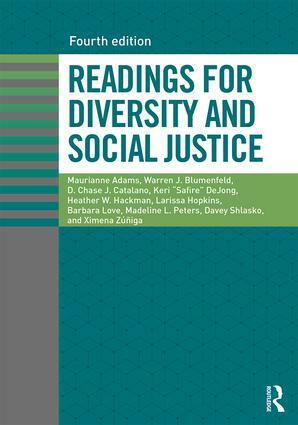 For over ten years, Readings for Diversity and Social Justice has been the go-to anthology for the broadest possible coverage of issues related to identity and oppression from a social justice perspective. This highly-anticipated fourth edition breaks even further ground, with new essay selections in each section that have been carefully chosen to keep topic coverage timely and readings accessible and engaging for students.  On this website, you'll find a wealth of downloadable resources that expand upon and complement the eight book sections of Readings for Diversity and Social Justice, plus information on Readings' sister volume Teaching for Diversity and Social Justice, Third Edition (TDSJ3e), by Maurianne Adams and Lee Anne Bell. Video selections curated and annotated by the editors of each book section that enhance the content of the print materials. Discussion Questions corresponding to the readings in Context, Voices, and Next Steps. Classroom-ready Activities, including resources from Teaching for Diversity and Social Justice. Next Steps resources highlighting groups that are engaged in social action. Comprehensive Further Resource guides, including print, film and online resources.